Newly emerged from the cornrows and the shambledown haybarns of Rurl Amerca cums the offbeat country n' blewgrass mutants of BEEFGRASS. 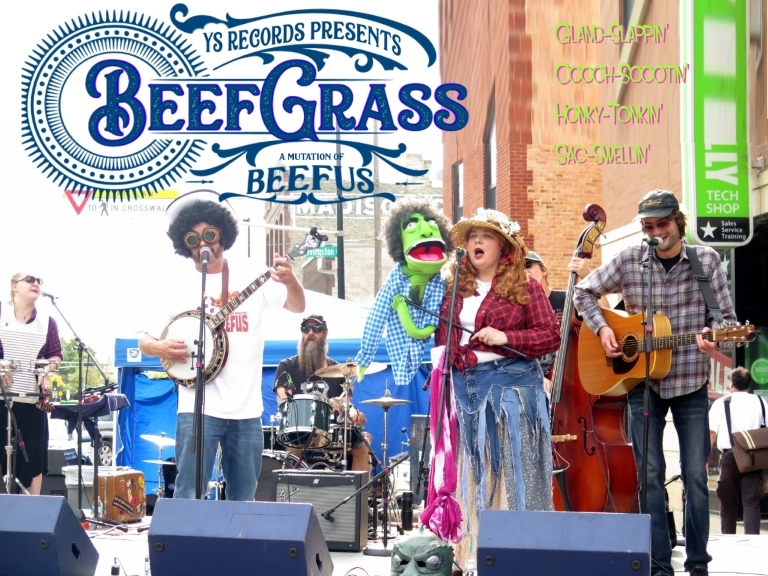 Featuring members of Madison stalwarts Beefus, the Driveway Thriftdwellers, Five Points Jazz Collective and Fringe Character, BEEFGRASS is a swingin' slice of hoedown hysteria that will leave your straw hat blazin' and your boots bleedin'. Scoot on down to Mother Fools to hear them "jam" on banjo, guitar, mandolin, pedal steel, bass, trombone, drums, muppet, and MORE COWBELL, and prepare to have your mules frightened and your tractor fractured. There is nothing on earth like BEEFGRASS - watch it growl and howl and ravage the crops.